There’s a new movie search engine in town, but it’s only for real movie buffs because all of the movies are in black and white. The name, thank goodness, is Black and White Movies, but the URL is www.bnwmovies.com, so be sure to remember that. Here are the basic facts: The movies which you can watch on bnwmovies.com are either public domain films or in other ways legally shared. 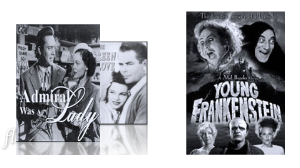 These old movies are thus free to watch and download. You can search alphabetically, by year from the 1920’s to the 1970’s, or by genre (Action, Adventure, Christmas, Comedy, Drama, Horror, Mystery, Romance, Sci-fi,Thriller, War, or Westerns). Not every single movie has a download link. They are constantly adding more old movies as soon as they become available. Remember the history of the *American* film industry by watching the best black and white movies of that era. If anyone knows of a site with Blank and White movies from other countries, please leave a comment.